On my last trip to Calgary, I had the chance to visit one of the city's newest bakeries. The catchy name and vibrant colors of their logo captured my attention, and I had heard they had amazing croissants. Did I need more reason for a visit? Probably not. Located in what felt like a newer area of southwest Calgary, Ohh La La is about a 10-15 minute drive from the downtown core. 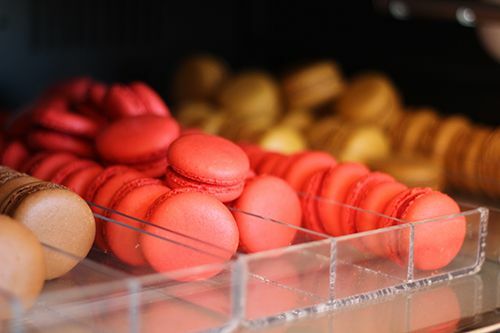 Although it may be a bit of a further drive from other parts of the city, the moment you walk in and that sweet smell of baked goods hits your nose, you instantly forget everything and want to sink your teeth into flaky pastries. 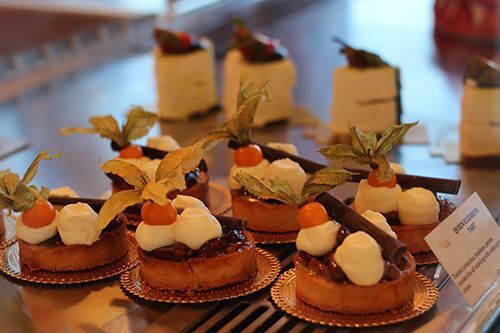 The cakes and pastries here smell absolutely divine and they are beautifully presented. 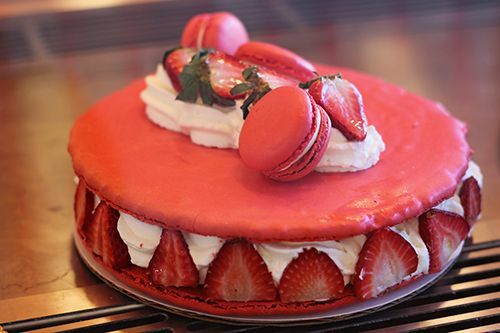 Just look at that macaron style cake! And the chocolate one? Man, I really wish I could've taken that one home. 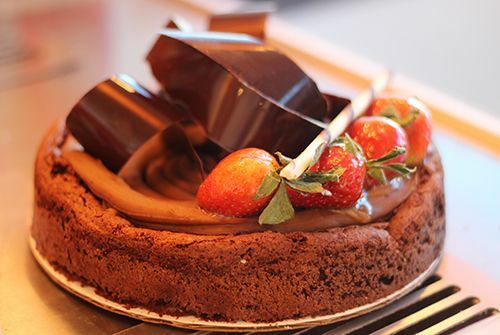 What I love about this bakery is the philosophy behind owner and pastry chef Sebastian Judkovski - he believes that everyone should be able to enjoy baked goods! Gluten Free? He can do that. Dairy Free? He can do that. Nut Free? He can do that. Vegan? I don't know if he can do that one but I'm sure he would try! If you have any special requests, Ohh La La can take them and make something for you. On this particular day, I picked up some of their macarons and croissants. 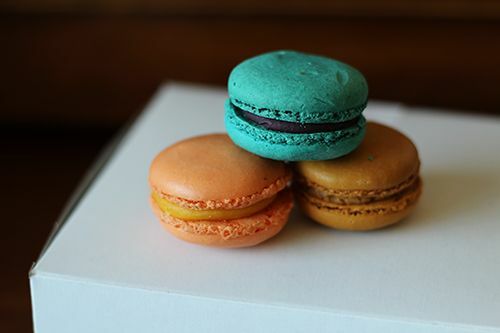 They have a wide variety of flavors on hand everyday, but I chose the mango, blackberry and salted caramel. The macarons themselves were not as chewy as I would prefer, but the flavours were spot on. The blackberry was probably my favorite - loved the colour of the cookie & taste of the filling! Now the croissants are a different story. 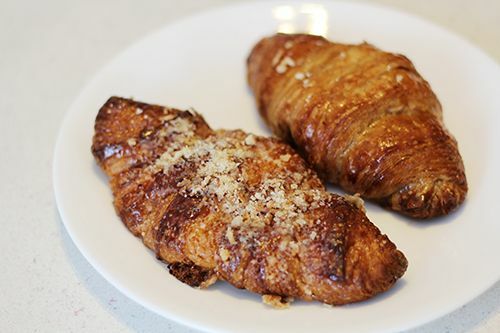 They have coconut and maple croissants and both are delicious. The pastry is rich in butter and flaky goodness, with either the maple or coconut folded inside of the layers. Warm them up slightly in the oven before eating and you're going to bite into a little bit of heaven. Mm, thinking about it again is making me salivate. 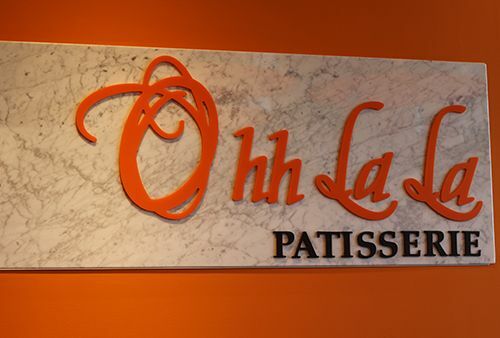 While Ohh La La is a small, local bakery, their pastries back a punch of flavour and leave you wanting more after the last bite. The owners are so humble and thankful for the growth and support of their business, so if you have a chance, make sure to check them out! Wow, all these pastries are just wonderful, and look sooo yummy! I love the name of the patisserie! So cute and I'm a HUGE fan of sweets! Everything looks so good! Yummie!! 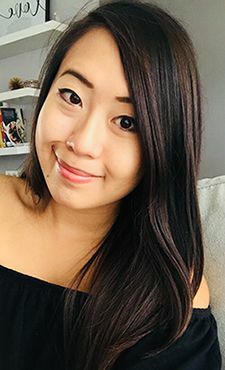 Omg girl, you always make me so hungry when I read your posts. I need to go to Alberta and try all of these restaurants you are always going to. I always love anything pastries. I'm such a sucker for it! this article is not good for my diet.. :p sooo nyuummiieeee.. This place sounds and looks absolutely divine!!! The macaron cake is to die for!!! How was the salted caramel macaron? That is one of my fave flavors! The salted caramel was awesome. Definitely my favourite flavour too! OMG THIS CAKE ARE AMAZING!!!!!! how much was it for one macaroon? I believe around $1.50? Don't really remember, sorry! If you need to know the exact price, I'd suggest contacting Sebastian!